Probably the most common question every dog lovers have in their mind. You also know the reason, dogs don’t live so long. Do you know which dog breed has the shortest lifespan? Well, the followings are the list of 10 shortest living dog breeds in the world. First of all, among the family of dogs, large breeds have a shorter lifespan than smaller breeds. Because the adult life of large dogs goes at the faster pace than the small breeds. In addition, the large dog breeds are also prone to many health problems. Newfoundland is one of the gentle, intelligent sweet-tempered, dog breeds in the world. But their lifespan is limited to 8-10 years. Newfoundland breed is prone to various health problems. 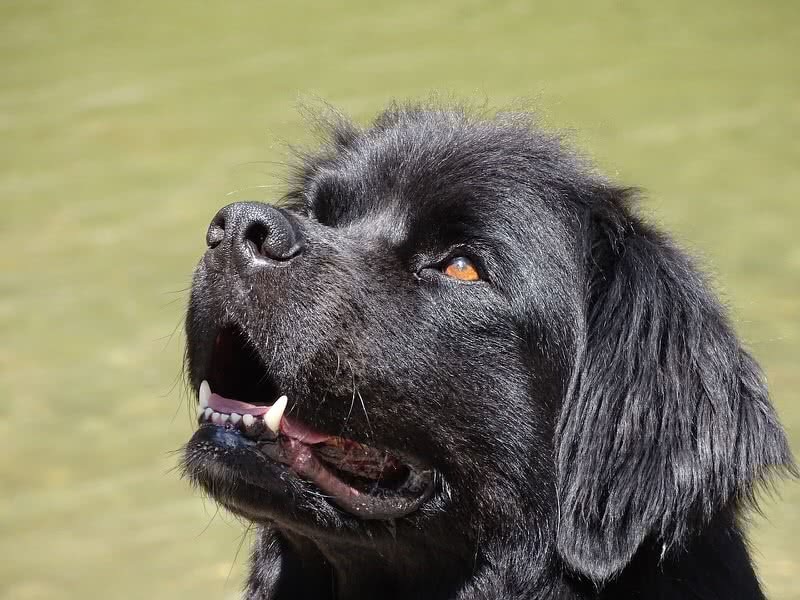 Like all other breeds, you should give proper care and healthy diet to raise a healthy Newfoundland dog. Heart diseases are the main problem found in Newfoundland breed. Subaortic stenosis (SAS) is the most serious condition among them. It is an inherited disease. Defective heart valves are the cause of this condition. Dilated cardiomyopathy (DCM) – poor pumping ability of the heart, Pulmonic Stenosis (PS) – formation of tissues in the pulmonic valve which cause narrowing the pulmonary artery and Patent Ductus Arteriosus (PDA) – the failure of the closing of a blood vessel called ductus arteriosus just after the birth. Orthopaedics conditions (diseases to musculoskeletal system) are very common in Newfoundland breed. Elbow anomaly – the growth of bones in front legs at uneven rates and elbow dysplasia – limb lameness are the main two such conditions. Bloat or gastric dilatation is a serious condition which needs immediate veterinary help. This life-threatening condition is caused by a number of reasons. Filling of a stomach with gas is one reason. Such a condition will put pressure on other organs. It causes difficulty in breathing and low blood flow to the heart. Cystinuria is an inherited condition which caused by the defect in reabsorption of the amino acid cysteine in the kidney tubules. It results in a formation of cystine stones in kidney or bladder. Cataract is the most common eye problems found in Newfoundland breed. Once affected, the lenses of eyes become cloudy which result in vision loss. If you looking for a guard dog rottweiler could be a right choice for you. This large, strong breed is completely fearless, loyal, alert, obedient and confident. Rottweiler can weigh between 110-130 lbs in weight and 24-27 inches in height. Unfortunately, this gentle giant only has a lifespan of 8 – 10 years. Cancer is the most common cause of death in Rottweiler breed, especially bone cancer. Lymphosarcoma, histiocytic sarcoma and melanoma are other types of cancer found in Rottweilers. Subaortic stenosis – a serious heart condition caused by the defective heart valves which result in obstruction to the blood flow. 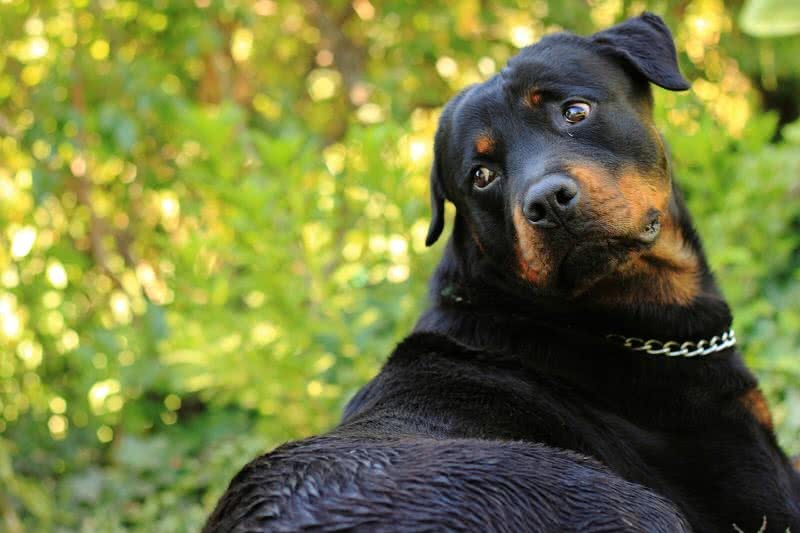 Hip dysplasia is a genetic disease found in large dog breeds, including Rottweilers. It is a malformation of ball and socket of the hip. Eventually, this condition will result in lameness. The giant Rottweilers are prone to the dangerous bloat condition. Caused by the filling of the stomach with the gas which results in obstruction to blood flow, breathing trouble and damage to the stomach wall. Without proper treatment, bloat can even cause death. Progressive Retinal Atrophy (PRA) is the main eye problem found in Rottweilers. This condition is caused by the destruction of retinal cells which eventually result in blindness. Standing 27.5 – 36.4 inches in height and weigh up to 266 lb, the Saint Bernard is one of the largest dog breeds in the world. Apart from their great size, Saint Bernards have been recognized for valuable contributions in Alpine rescue missions. But like other giant dog breeds, Saint Bernard has a very shorter lifespan, between 8 and 10 years. 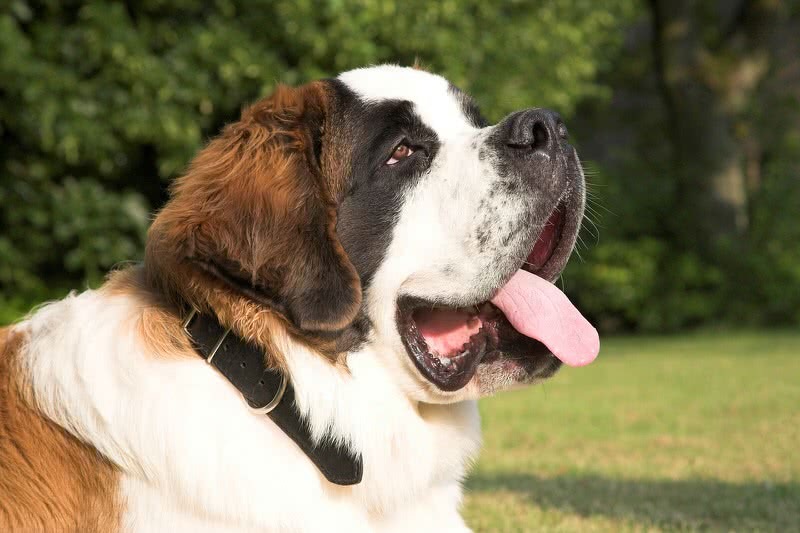 Saint Bernards are prone to serious orthopedic (musculoskeletal) conditions as they have very rapid growth rate. Among them, the most serious one is hip dysplasia, poor fitting of ball and socket of the hip. Saint Bernards are more prone to this disease than any other breed. In addition, other orthopedic conditions like elbow dysplasia, panosteitis, wobbler’s syndrome are also found very often in Saint Bernards. Epilepsy is a brain disorder in which electrical instabilities of nerve cells occurs. This condition causes the severe seizure, abnormal behavior. The cause of this serious condition could be a number of things – head injury, poisoning or poisoning. Entropion is the most common eye defect found in Saint Bernards. It is a condition in which eyelid start to roll inwards. It causes intense irritation in the surface of an eye. The affected dog will scratch his eyes continuously, which may lead to the corneal ulcer, loss of tissues near the cornea. Dilated Cardiomyopathy is a condition in which heart become enlarged which result in poor pumping and difficulty in contraction. Bullmastiff is one the excellent pet you could own. This breed is very devoted to the family. Bullmastiffs are also loyal, loving, alert, powerful and courageous. One thing about bullmastiff that no dog lover ever like is its short lifespan. This loyal breed only live for 8-10 years. Hemangiosarcoma is a deadly form of cancer that found most commonly in dogs than any other species. This condition is a result of a lining of cells in the interior surface of blood vessels. It spreads rapidly to every part of the body. Bullmastiffs are also prone to some other forms of cancer like lymphoma and osteosarcoma. Problematic heart murmur is one main heart problem found in Bullmastiffs. This condition results from abnormal heart valves. Cardiomyopathy is another serious heart problem. It is a heart muscle disease which leads to the defect in the functionality of the heart. Hyperthyroidism is a condition which caused by the overproduction of thyroid hormone. Such a condition would increase the level of metabolism. It leads to weight loss, diarrhea, heart murmur and breathing difficulty. 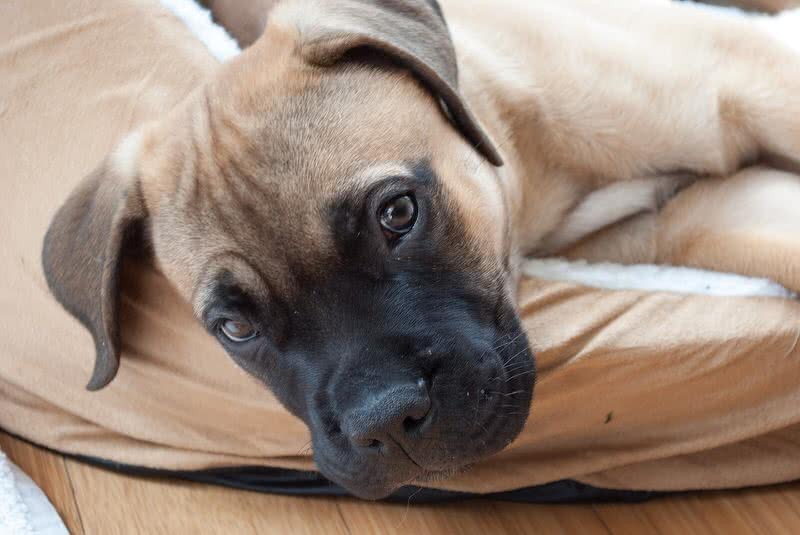 Glomerulonephritis is the most common kidney problem found in Bullmastiffs. Caused by the inflammation of internal structure of the kidney. When it happens, kidney can’t do filtering properly. Eventually, this condition results in kidney failure. 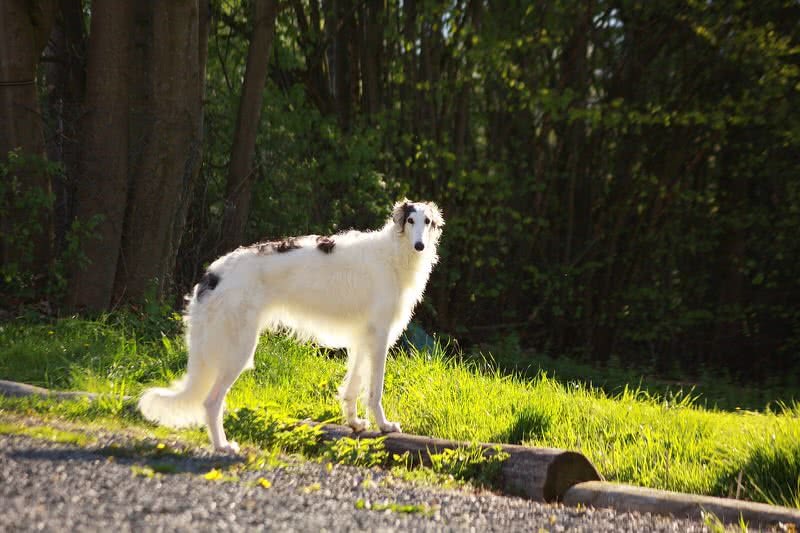 Borzoi is a tall dog breed that is known for its distinctive long head and beautiful silk coat. They come in wide, variety of colors including black, white, cream, red and fawn. But, this beautiful, gentle breed is prone to many health problems. The lifetime is limited to only 7- 10 years. Life threatening, gastrointestinal syndrome known as bloat is very commonly found in borzois. This condition is caused by abnormal accumulation of air in the stomach. Such a condition would damage other organs, obstruct blood flow and breathing. Osteosarcoma is one dangerous forms of bone cancer found in large dog breeds, including borzois. This condition is mostly found in middle-aged dogs. Once affected, this disease would rapidly spread to other parts of the body. The main heart problem found in borzoi breed is dilated cardiomyopathy or DCM, an enlarged heart cause difficulty in blood pumping and contraction. This condition would also affect other body systems. Progressive retinal atrophy is a serious eye disease in which degeneration of retina tissues occurs. This condition would eventually lead to blindness. Leonberger is a fearless, giant breed that known for its lion-like look. A fully grown leonberger stands 25 inches in height and up to 170 lb in weight. Male leonberger has a distinctive, lion-like mane on the neck. This breed is very loyal, obedient, companionable, affectionate and brave. The shocking fact about leonberger breed you should know is its shortest lifespan, only live for 8-9 years. Osteochondritis Dissecans or OCD is a serious joint disease in which abnormal development of cartilage occurs. It is a connective tissue that helps smooth gliding of bones in the joints. The defect in the normal development of cartilage would affect the joints. In leonbergers, this condition is commonly found in shoulder joints. But OCD can also affect elbows or knees. 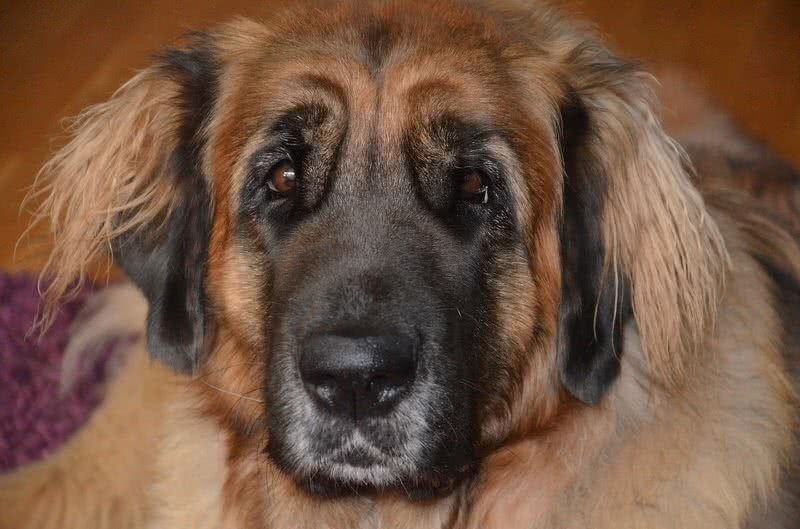 Cancer is a serious problem in Leonberger breed, especially osteosarcoma. It is a life-threatening, bone cancer that commonly found in large, middle-aged dogs. The worst part of this disease is it will also spread rapidly into other body parts. Von willebrand is a serious blood-clotting disease found in leonbergers. As a result of low level of clotting proteins in the blood excessive bleeding would occur. The common eye problem found in this breed is the cataract. The clouding of eye lenses which leads to vision loss. 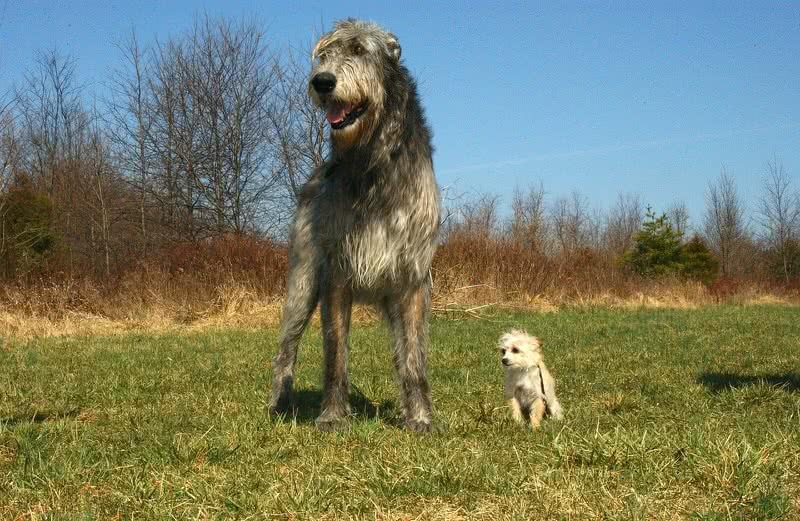 Measure between 28-35 inches, the Irish wolfhound is one of the tallest dog breeds in the dog. They are originally used as a war and hunting dog. Despite his large size, Irish wolfhound is patient, generous, sweet-tempered and loyal. They can also get along well with children and other pets. If you ask what bad about Irish wolfhounds, the answer would be their short lifespan, only 6-10 years. Megaesophagus is a condition in which the enlarged esophagus failed to pass the food to the stomach from the mouth. Esophagus is a tube that connects stomach with the mouth. The enlargement of this muscle tube would result in insufficient muscle contractions. So that esophagus couldn’t pass the food to the stomach from the mouth. It results in regurgitation or passing of food into the lungs. Cardiomyopathy is the commonly found heart disease in Irish wolfhounds. In this condition, the heart muscles become enlarged. Thus, the heat can’t contract or pump the blood properly. It leads to heart valve problems, abnormal heart rhythms or even the heart failure. The defect in the level of blood clotting protein causes excessive bleeding disorder known as Von willebrand. Hip dysplasia is a defect in the free rotation of the ball in the socket of the hip. It leads to arthritis, joint disorder or lameness. Standing at 36 inches in height, the Great Dane is the tallest dog breed in the world. A fully grown, Great Dane also weighs 198 lb in weight. This giant breed is very gentle, loving, devoted and confident. The heavy body of Great Danes also the main reason for being one of the short living dog breeds. Bloat is a serious disease that affect great dane breed the most. This condition is also known as stomach stortion – the abnormal accumulation of air in the stomach. The bad side of this condition is difficulty in breathing, obstruction to blood flow and damage to internal organs. Without proper treatment, all these effects could kill your Great Dane. Wobbler’s syndrome is a serious neurological disease that commonly affect the large dog breeds, especially to Great Danes and Doberman. It affect the spine within the neck of the dog. This condition leads to paralysis or muscle loss. As a giant dog, Great Danes are very prone to hip dysplasia – the failure in free movement of ball in the socket of hip. Lameness or joint disorders are the end result of this condition. 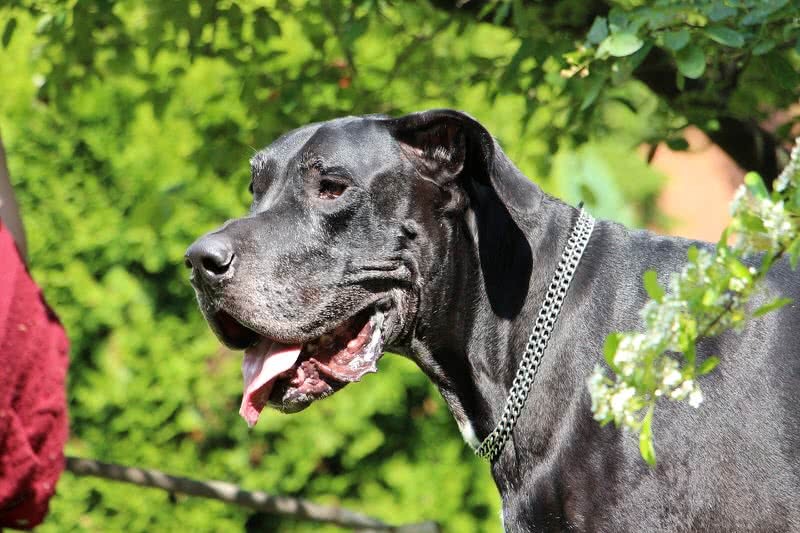 Osteosarcoma is the most common and aggressive form of cancer found in Great Danes. This dangerous disease develops in the osteoblast cells, the cells that behind the formation of new bones. Even though, bones of any body parts can be affected by osteosarcoma, it commonly found at first on the bones near the knee. This disease can be rapidly spread to other organs or bones. Native to mountains of Switzerland, the Bernese mountain dog is one of the largest and most beautiful dog breeds in the world. Bernese mountain dogs have thick fur to survive in the cold climate of Swiss Alps. This short living, gentle giant is very intelligent, loyal, affectionate and faithful. 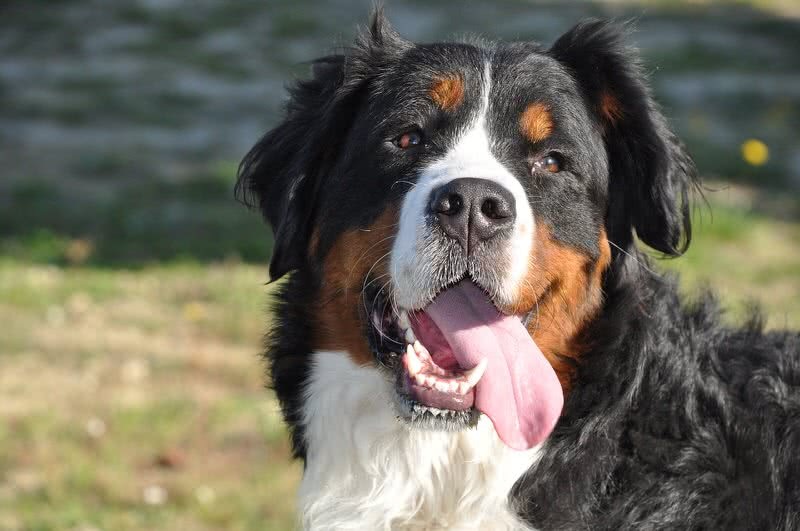 Aseptic meningitis is a brain inflammatory disease that is very common in Bernese Mountain dogs. To be specific, This condition the inflammation of membranes of the brain and spinal cord. This disease can be fatal and should be treated at the first stage itself. Histiocytic sarcoma is an aggressive form of cancer that commonly found in Bernese mountain dogs and Rottweilers. It is the abnormal reproduction of histiocytic immune cells the cause of this condition. It affects bones, skin and lungs. Elbow dysplasia is a major orthopedic problem in Bernese mountain dogs. It is the abnormalities in the elbow joints. This condition damages the development of cartilage – a connective tissue found in the joints. It leads to lameness. Subvalvular aortic stenosis or SAS is congenital heart problem in which narrowing of left ventricle occur. It leads to obstruction to the blood flow from the heart. As a giant, deep chested dog, the Bernese nominating dogs are prone to gastrointestinal condition called bloat. The filling of stomach with excessive gas. This condition can cause different problems including destruction of blood flow, pressure on other organs and difficulty in breathing. With an average lifespan of 5-8 years, the French mastiff is the shortest living dog breed in the world. They are very devoted, courageous,loyal and companionable. 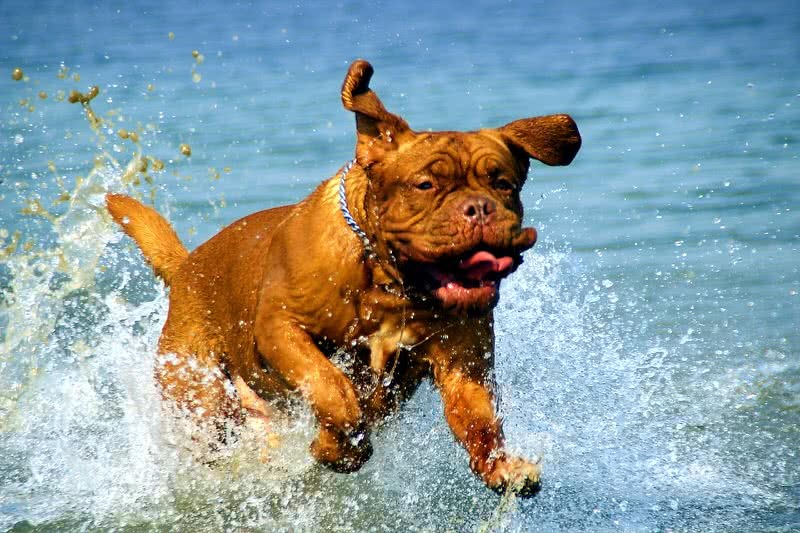 Weighing up to 68 kg, French mastiff is one of largest dog breeds in the world. Unfortunately, large dog breed has very short adult life and die soon. As a large breed, French mastiffs are very prone to bloat. A serious condition in which stomach become swollen with the air. Such a condition would cause pressure on stomach wall and other organs. Fall in blood pressure and difficulty in breathing are other worst part of this condition. Without proper treatment, bloat can even cause death. Hip dysplasia in an inherited disease in which malformation of hip socket occurs. It causes severe pain and leads to lameness. Dilated cardiomyopathy is the main heart problem found in French mastiffs. In this condition, the left ventricle of the heart become enlarged by the stretching of heart muscles. Thus, the heart cannot contract or pump blood normally. It results in heart valve problems or even hearts failure. Eye diseases are very common in French mastiffs. The most common eye disease that affects this breed is entropion. It is a genetic disease in which eyelid fold inward. As a result, eyelashes irritates the cornea area repeatedly. It causes redness, loss of tissues and scarring of eyeballs.